The Golden Triangle of Georgia refers to the capital, Tbilisi, and the regional towns of Sighnaghi, which is located in the far east of the country, and Kazbegi, the northern border town. 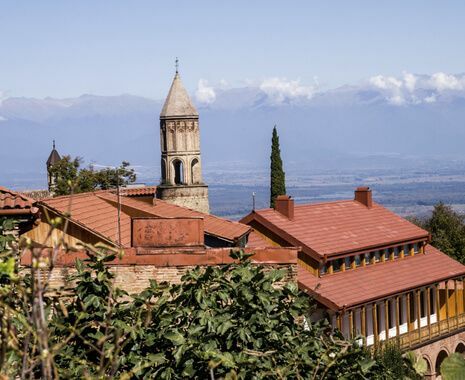 Sighnaghi is located in the Kakheti region, renowned for its excellent wine coupled with the monasteries and churches Alaverdi, Gremi and the Nekresi. 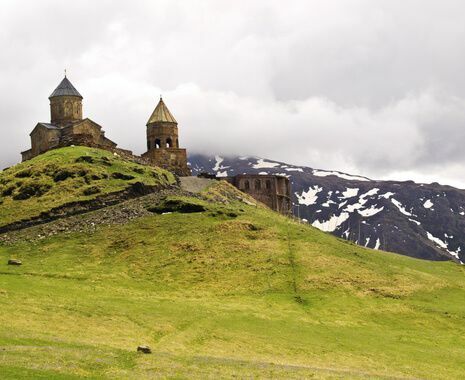 Kazbegi has the iconic Gergeti Holy Trinity church as its principal attraction. 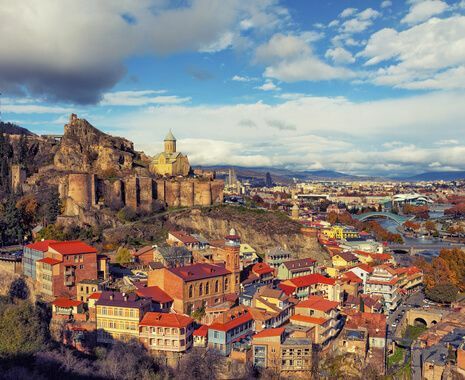 Staying in some of Georgia's best accommodation including the boutique Kabadoni in Sighnaghi and the Rooms Hotel in Kazbegi, this 9-day itinerary visits some of Georgia's most popular tourist attractions.